It seems Nintendo is getting a taste for giving us wallpapers through My Nintendo - we tried the Snipperclips - Cut it out, together! file on our phone, and it wasn't bad. 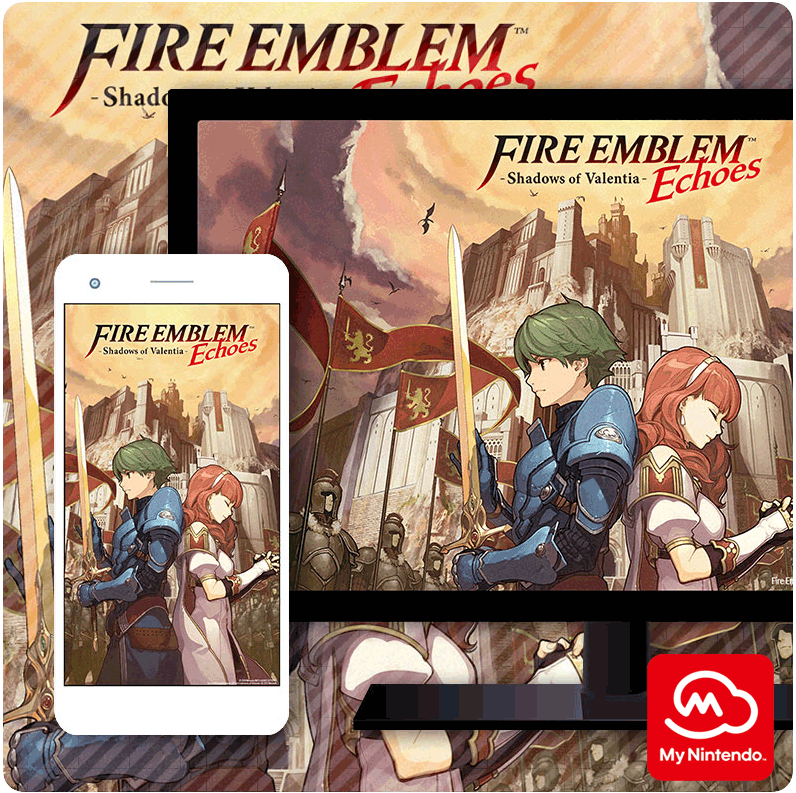 Nintendo of America is now offering an equivalent for Fire Emblem Echoes: Shadows of Valentia, though no equivalent is available yet in Europe. Are any of you North American My Nintendo members tempted? Thrilling. Please hold me back. Nothing to add that hasn't already been said. A wallpaper for a game that doesn't exist on that platform? Hm... I dunno how to feel about that. Seems pretty silly, this should be a 3DS downloadable theme instead. Yeah, no. The burgeoning wallpapers-for-points era isn't exactly the finest hour for My Nintendo. This is somehow a step down from 3DS themes and discounts. @World I agree with you, these definitely feel like a letdown from 3DS Home Themes. Hopefully something like this comes out for Switch eventually. I did get the Breath of the Wild wallpaper for my phone. Don't think I'll get the Fire Emblem one though. I remember when wallpapers were free and available on each new game website. I got a lot of cool wallpapers that way. Charging coins for this is ridiculous. I'll wait for someone to get it and make it available online. Remember how Club Nintendo Japan used to offer soundtracks as rewards? I thought that after the move to My Nintendo, we might get some of that. Nintendo realizes that unlike their own consoles in which they sell you wallpapers and you can't set your own, that most devices let you set whatever wallpaper you want right? @DarthFoxMcCloud Yeah, it's annoying that now they're just giving out things you could literally just find online. With 3DS themes you'd at least have to hack it to produce something like those rewards, and not all of us want to do that. @TossedLlama I hear you. I've been spending all of my platinum coins on these rewards, hoping that somebody somewhere sees that the only thing I'm avoiding is the discounts. Wonder why that could be? What prevents an user to get it and then share it across the internet to other users? If so, why pay the coins in the first place? Charging coins for these is borderline laughable. In this day and age, it's extremely easy to share the various file sizes to anyone and everyone...for free. I grabbed the BotW wallpaper just for the heck of it, but I only blew the coins on it since my platinum coins are rotting in cyberspace anyway. @flapjackashley2 You're getting way too excited. Oh no. What are you doing with that liquor bottle. That's not supposed to go there. What have you done to this man Nintendo. Not paying points for something I can google for free. I agree with @PlywoodStick. Should be a 3DS theme. That would be a lot more worthwhile.